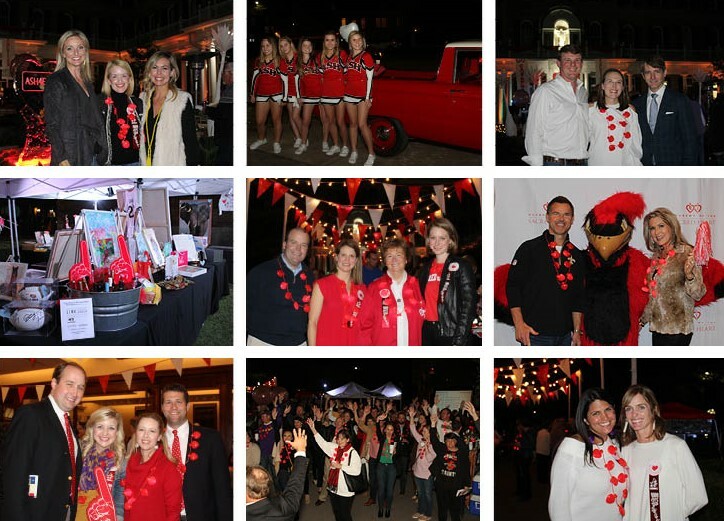 Sporting their favorite team colors and Sacred Heart spirit stickers, more than 400 parents, faculty/staff, alumnae, and friends danced under the Friday night lights at the "Tailgate 'Round the Fountain Auction" held in the front courtyard. The event was co-chaired by Sibby Gwin Charbonnet '01 and Olivia Eustis Guider '99 and featured tailgate-themed food by Joel Catering and Special Events, music by Harvey Jesus and Fire, and a wide array of auction items from dining experiences to student art to sports memorabilia and more. Prior to the main event was a patron party held in the Richard C. Colton, Jr. Center for Performing and Fine Arts, where guests enjoyed a specialty drink concocted by Oak Wine Bar, food by BRG Hospitality, and music by Brandon Taylor. 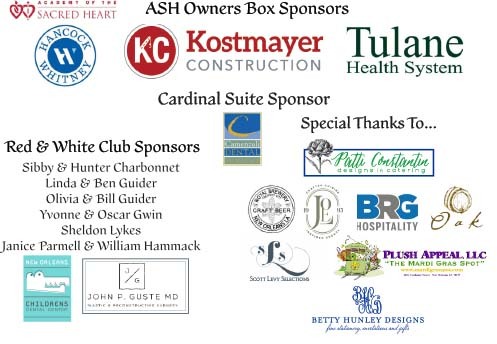 Thank you to our All-Star Auction Committee!